LeTourneau University appears in our ranking of the Top 10 Psychology Degrees Online (Bachelor’s). The counseling and psychology degree programs offered at LeTourneau University require a combination of liberal arts and science courses. Students interested in beginning a career in counseling should consider graduate school after completing their bachelor’s degree in psychology, though it is possible to work as a counselor with a bachelors degree. For those particularly interested in becoming a counselor at the bachelor’s degree level, special attention should be paid to the type of bachelor’s degree program in psychology they attend. A B.A. in psychology is much different than a B.S. in psychology in terms of career opportunities. No matter which psychology bachelor’s degree a student pursues at Letourneau University, there are three main courses typically offered in any of the psychology degree programs that will help students develop the skills they need to work as a counselor and perhaps even help a student better understand their own career goals. Interpersonal Communications is a course that focuses on communication in both personal and professional contexts. Verbal and nonverbal elements of interaction, the influence of perception, the effect of mood on communication, listening, communication of emotions, and conflict resolution are all discussed. In a Human Behavior and the Environment course, students learn to identify, define, and explain human behavior. Students learn family structures, institutional behavior, and how an environment can contribute to complex issues. Theories and practical intervention skills are developed throughout the course. Prevention and Crisis Intervention: In a Prevention and Crisis Intervention course, students learn prevention and intervention strategies that are both ethical and effective. Risk factors that contribute to crisis situations are discussed, and students learn the difference between intervention and prevention strategies. Letourneau University offers three bachelors degree in the counseling and psychology field: a Bachelor of Arts in psychology, a bachelor of science in counseling psychology, and a bachelor of science in psychology. A B.S. in psychology from LeTourneau University offers students the knowledge and skills needed to prepare them for their careers by giving them the interpersonal skills, research skills, and communication skills needed to work as a counselor or clinical psychologist. Students will learn how to analyze psychological, emotional, and interpersonal problems and respond with understanding and empathy. The B.S. in Psychology is offered on campus or as a 100% online degree program. A B.S. in psychology is a great degree program to pursue for anyone interested in a career as a psychiatric technician, career counselor, probation or parole officer, social services specialist, rehabilitation specialist, or a case manager. According to a fact sheet published by US News, mental health counselors earn an average of $42,840 per year, with the top 25% earning more than $55,000 per year and the bottom 25% earning less than $35,000 per year. Located in the city of Longview, Texas, LeTourneau University a beautiful campus, quality education, and a wealth of career opportunities after graduation. Formerly LeTourneau Technical Institute, which was founded in 1946, the school became LeTourneau College in 1961, opened admissions to female students and began offering four-year degree programs. 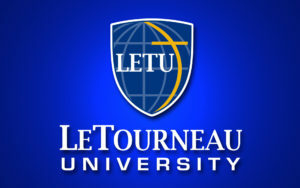 LeTourneau College was renamed LeTourneau University in 1989, and established itself as a nondenominational Christian university that would offer associate’s and bachelor’s degrees in the liberal arts, engineering, business, aeronautical science, technology, education, and the sciences. The school also began offering master’s degree programs in both education and business. That wasn’t all the change LaTourneau would see in 1989. The university also established what became the LEAP program, LeTourneau Education for Adult Professionals, providing classes to working adults in the evenings. Since Letourneau established the LEAP program, many other colleges and universities have established similar programs. As of 2018, the student body at LeTourneau University is over 1,150, many of whom study their entire degree program online and have never even seen the beautiful campus in Texas. Letourneau University is accredited by the Commission on Colleges of the Southern Association of Colleges and Schools. The average high school Grade Point Average (GPA) of students admitted to LeTourneau University is 3.62 on the 4.0 scale, which means that a high school student applying to this university with a B average may be accepted. For students interested in studying online, attending accelerated evening programs, or enrolling in any of Letourneau University’s graduate programs, simply completing and submitting a common application and sending transcripts and SAT or ACT scores to the university are all the admissions requirements posted. The university has an admissions acceptance rate of 45.5%, turning away more applicants than it accepts. Currently, it costs $27,900 per year to attend LeTourneau University. To help offset the costs associated with higher education, a number of scholarships and private grants are available to freshman and returning students, including the Presidential Scholarship, which is worth up to $17,000 a year in financial aid, the Dean’s Scholarship, the Founder’s Scholarship, the Dual Credit Scholarship, the National Merit Scholarship, the Church Matching Grant, and others. In addition to the scholarships offered at Letourneau University, the financial aid department recommends that students complete a Federal Application For Student Financial Aid, FASFA, as soon after receiving their acceptance letter to the university in order to take advantage of federal grants such as the PELL Grant and the TEACH Grant. Students who are working active-duty in the military or who are veterans can also possibly receive financial aid from the Montgomery G.I. Bill. A consultation with one of Letourneau University’s financial advisors is strongly advised for anyone interested in applying but concerned about how they might pay for their education.